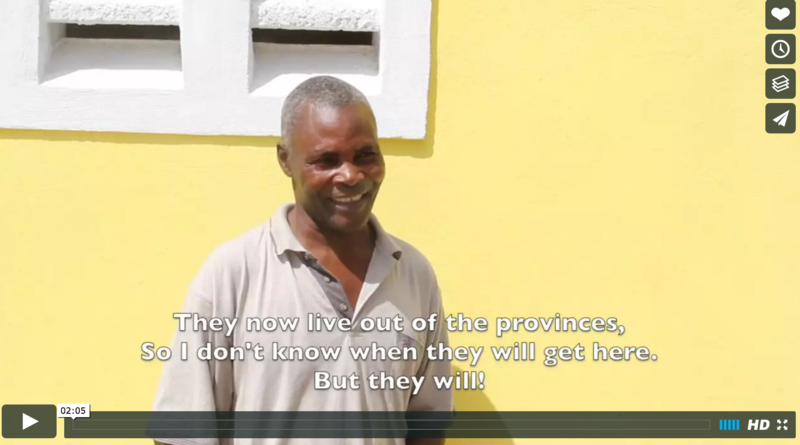 After 5 horriffic years of living in dangerous tent, Noel and his family moved into their house- a place for piece, prosperity, security, legacy and opportunity! Thank you to our members for making this home possible! Noel dreams of moving into a home. 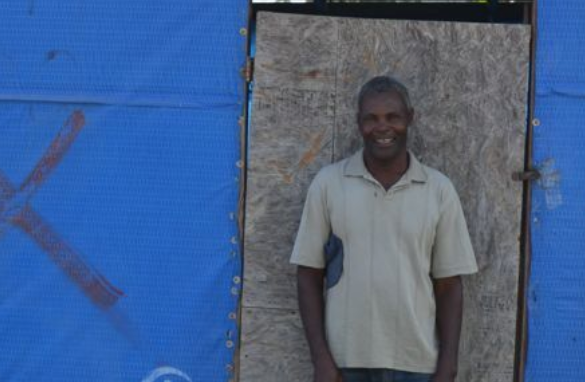 Since the 2010 earthquake destroyed his home 5 years ago, Noel and his family have been living in a thin tarp tent. Life in their tent slum is merely survival. Noel’s tent houses his wife Marchila and their 6 children, including their one-year-old daughter Guerda. These loving parents are melon farmers and work hard “to have the money for our children to go forward in life”, Marchila says. The one-room, mud-floored tent is dirty, crowded, and painfully hot. “It’s impossible to stay inside when the sun is out, we have to take the baby outside until the sun goes down”. Imagine not being able to relax in your own home. When it rains, this family is completely drenched as their tent is tattered and torn. These living conditions combines with lack of sanitation and access to clean water contribute to poor health. A home is more than just a shelter – it promotes improved health, better performance in school, and the ability to take advantage of opportunities. To donate and help build a home for a family in need, please click here. Your donation is 100% tax-deductible and will go directly towards building homes.